Is your business secure against cyber-attacks? A company’s ability to trade, its finances and its reputation can all suffer if there is a failure or an attack on the computer systems it uses. It is more important than ever to protect your business against a data breach. Although data breaches that affect large corporations are what dominate major news outlets, statistics show that the target among hackers has actually shifted toward smaller businesses. Of the data breaches that the U.S. Secret Service responded to last year, 63% occurred at companies with 100 employees or fewer. From damage to your reputation as well as your business’s bank account, these data breaches can be costly. Any data breach can lead to liability claims from your clients and costly actions from the regulators. According to insurers, it takes an average of 14 days for small and medium businesses that experience a cyber-breach to resolve the attack, and costs them approximately €14,200 per day (Source: The Hartford Insurance Company). A cyber-attack on a major company costs on average around €1.2 million, with the largest publicly acknowledged attack in 2013 costing over €103 million. Typical attacks come from Botnets, Viruses, Worms, Trojans, Malware, Malicious insiders, Stolen devices, Phishing, Web-based attacks and Denial of services. The average time to clear a virus attack is 2.1 days; the average time taken to recover from an attack from a malicious insider is 65.5 days (Source: Ponemon Institute and Hewlett Packard, Oct 2013). Unfortunately, data breaches have emerged as imminent threats to all businesses. To help you counter this threat, MAI CEE Insurance Brokers are offering cyber insurance designed to protect your business against the damage of a cyber-attack. We have created products with several of the largest and strongest insurance companies and Lloyds’ Syndicates to offer broad cover at very competitive prices. Our products are tailored to fit your company’s and can be quickly set in place. Premiums start from €450 for up to €500,000 of protection (Subject to conditions), and we are able to arrange multi-million euros of cover for large companies. Our insurers offer not only claim payment but also a crisis management service as part of their cover. Policies can reimburse your company’s losses for business interruption, loss of profits, regulatory fines for personal data loss, property damage (e.g. theft of proprietary information and/or equipment damage), liability claims from third parties, recovery costs and more: cover to ensure that your balance sheet is protected. Zbigniew joined MAI Poland in 2012. He developed a strong insurance background from his former employment at Warta and Commercial Union (now Aviva). 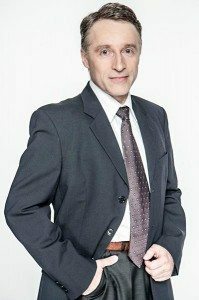 A qualified underwriter and claims manager for industrial and commercial clients with a Master’s degree in Mechanics from the Warsaw University of Technology and a further post-graduate degree from the Insurance Academy (Warsaw), his 20-year experience in the insurance industry gives him the depth of experience to coach MAI CEE’s younger brokers in various fields of insurance. After receiving training from leading insurance companies in London, in May 2014 he took the role of Cyber Risks Practice Leader, in addition to being the senior risk manager within MAI CEE. Zbigniew is fluent in Polish and English.